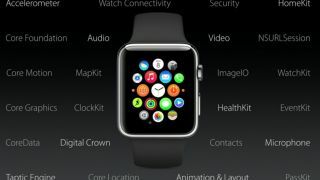 Apple Watch has been a decent companion for iPhone users but its real potential will be unveiled when watchOS 2 arrives in the fall though in the meantime, several new details have popped up. The latest watchOS 2 beta 5 is being tested with developers right now and 9to5Mac has compiled screen shots that show a redesigned version of Music on the Apple Watch. Specifically, the Now Playing screen will show volume level indicator and the source of the audio file you're listening to. Quick Play is also an added option to the main Music menu that can shuffle your music. The Modular watch face will employ more color customizations that display information and Paris has been added to the list of five cities used for Time Lapse. There will also be a new setting that allows the screen to stay on for 70 seconds opposed to just 15 seconds. On the fitness side, Outside Online interviewed Apple's fitness expert Jay Blahni, who revealed that third-party exercise apps like Strava will be able to connect with the Apple Watch's sensors. This should improve the fitness experience with the Watch since Activity and Workout only track so much. Most apps will be better thanks to third-party developers receiving access to the wearable's sensors, meaning there will be new ways to customize and utilize the watch after the update hits. The Apple Watch is ticking away on my wrist right now, and while it's no longer called the iWatch, it really is "my watch" and Apple's most personal gadget yet.